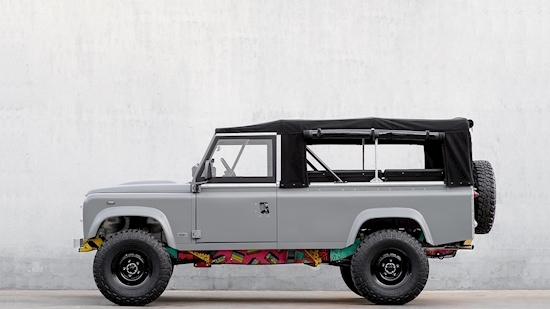 For Ricardo Pessoa, CEO of Land Rover custom restoration shop CoolNVintage, art is profoundly personal. Like a journey or a place, it’s the awareness of the experience that makes it meaningful. 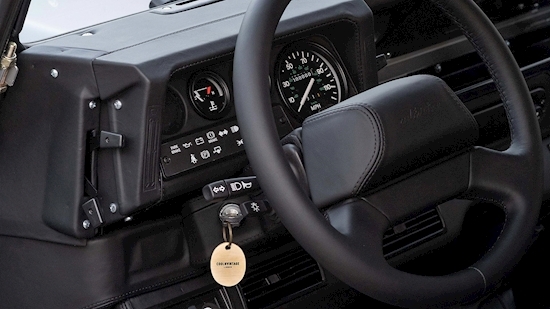 That philosophy underlies all the Land Rovers brought back to life at the Lisbon company. 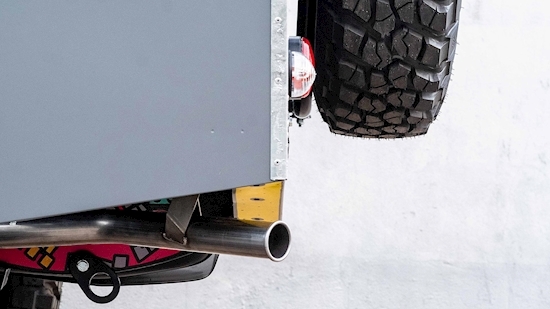 Rather than building “flashy attention-getters,” the restoration focuses on what the vehicles will enable their new owners to do. 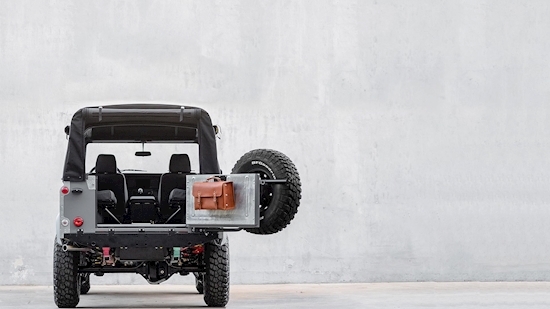 Pessoa calls the creations “a physical embodiment of what is possible if only we can imagine it.” The simplicity and honesty of the Land Rover is preserved, with around 1,000 hours added to get the journey underway. This build, No. 77, is about Lisbon itself. 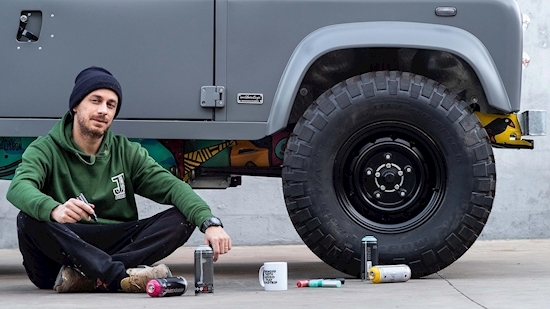 Pessoa enlisted artist and long-time collaborator Vasco Costa to hand-paint the chassis in a celebration of the city, Land Rovers, and art itself. Over 2,000 hours were invested in the project. 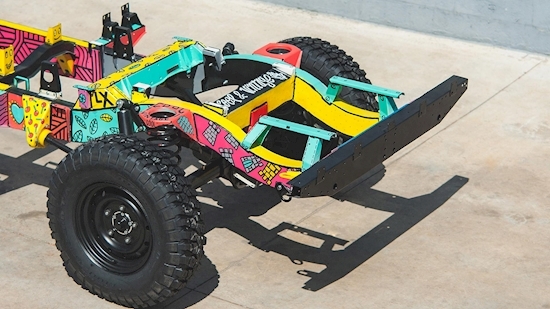 With the restored body back on the frame, the finished vehicle is elevated on a foundation of vibrant color. The mindfulness demanded by the vehicle is clearly the “why.” Pessoa insists No. 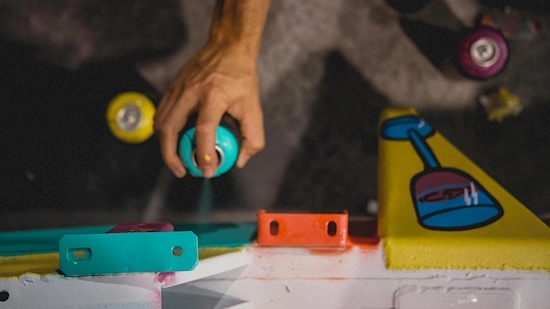 77 is rolling art meant to be used and enjoyed, that the journey in it is the experience he intended to build. The donor Defender 110 is a 1983 model and one of the first to roll off the Solihull, England assembly line. CoolNVintage completely disassembled it—engine, gearbox and all mechanical parts—before beginning a complete nuts-and-bolts rebuild and restoration. Nothing was left untouched. All the panels were stripped to bare metal before priming, hard parts were powder coated, the wiring was restored or refitted, new brakes and Fox suspension were installed, and new fuel tank and lines fitted. 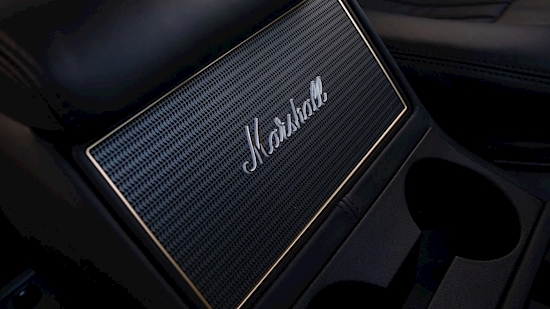 A black mohair top protects Connolly leather seats and a wireless Marshall sound system. 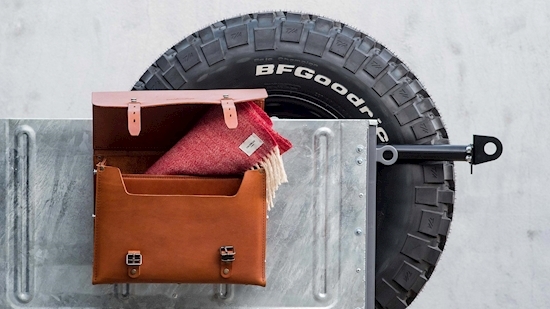 On the tailgate, a handmade saddle leather tool bag hides a Alentejo blanket for cold nights. A brass CoolNVintage plaque displays the No. 77 build number, and even the No. 77 keychain demands pause. 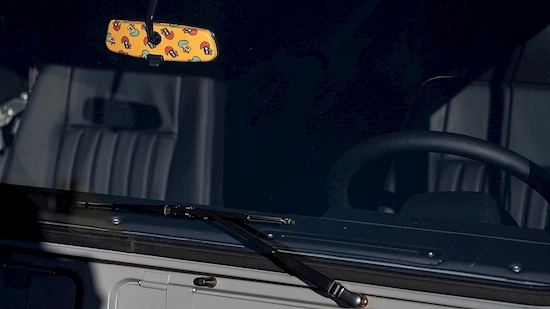 Pessoa says he “first tasted real freedom” in a Land Rover. This unique build expresses that freedom and invites its new owner to turn off the hectic high-tech world and be the journey.